Tennessee Crab Orchard Gray Color Walkway and Patio Stone offers a gray alternative to Bluestone. 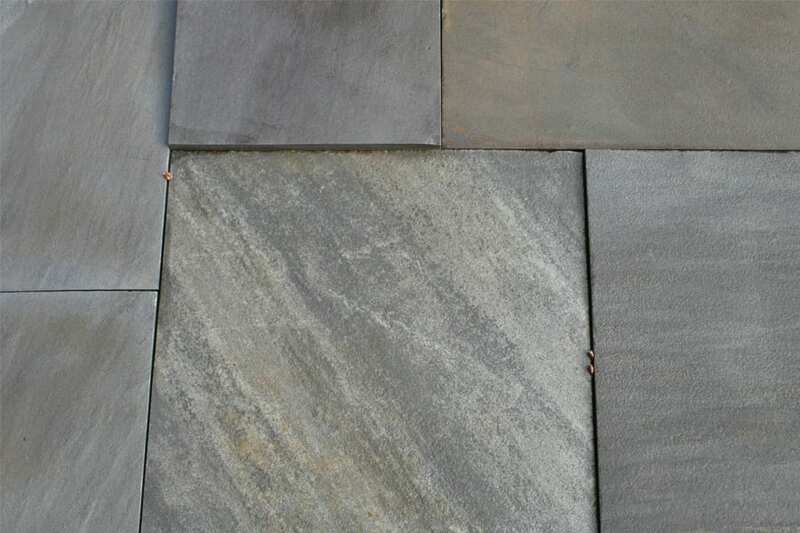 If the blues in bluestone are not what you are looking for than Tennessee Crab Orchard Gray Color Walkway and Patio Stone could fit the bill for a gray color pattern Landscape Stone for patios, pool decks, porch decks, walkways, etc.. The gray is medium to modestly dark and there are accent colors - typically gray or white touches on many pieces. The result is an instantly aged stone that gives any landscape project that high desirable aged look. Tennessee Crab Orchard Gray Color Walkway and Patio stone is precisely cut into square and rectangular pieces. Tennessee Crab Orchard Gray Color walkway and patio stone. A stone known for unique charcoal undertones and then highly variable shading on top in a wide range of beautiful colors. Very hard to describe. Overall color is distinctly charcoal. But the variations of what almost look like pastel shading can be very intense and include white, black, rust, and green. By the pallet. Limited single pieces may be available in an open pallet in the yard, but we strongly prefer to sell this stone by the pallet. A typical pallet weighs 1.5 tons and covers approximately 180 square feet. If bluestone is too "blue" and you are looking for something gray to charcoal - Tennessee Crab Orchard Gray Color Walkway and Patio stone can be a great choice. This stone invites a second look once you discover the unique shading that can occur. Slightly textured surface is not slippery. This is very easy stone to work with.